Sea Pines is proud to present the recently completely revitalized poperty, The Inn At Harbour Town. The Inn has the charm and elegance of an intimate five-star European hotel with updated furnishings to exude a relaxing seaside ambiance, while newly-installed tropical landscaping and lighting craft a gracious exterior. Sound and light-proofing creates total tranquility and relaxation in guest rooms, while stylish new fabrics, linens, window treatments and spa-like bathrooms are playful and energizing. Superbly located in Sea Pines Resort on Hilton Head Island, the Inn is the ultimate backdrop for business or pleasure with sleek 37-inch flat screen televisions, iPod and laptop docks, complimentary high-speed Internet, and glass door mini bars. 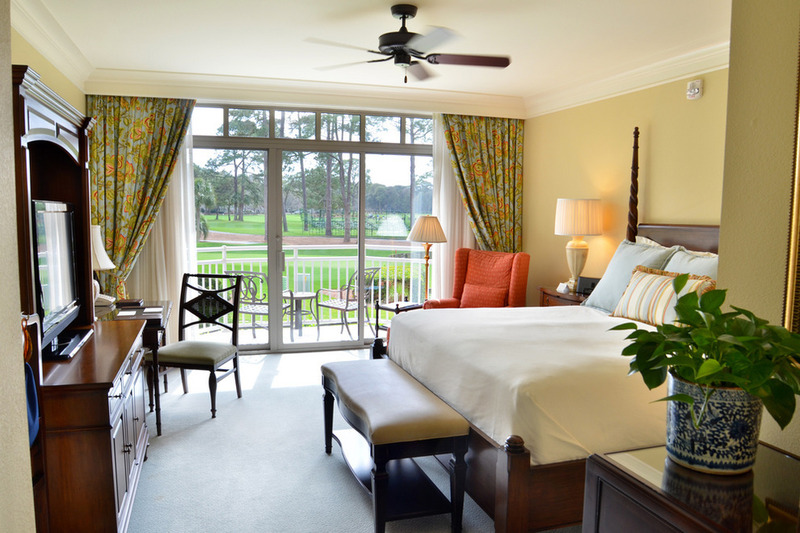 A graceful and naturally beautiful retreat, The Inn At Harbour Town is a world-class resort destination. Located just steps away from the Inn and overlooking the Harbour Town Golf Links, is the delightful and distinctive, championship cuisine served at the Heritage Grill. The Grill's acclaimed culinary team offers fresh fish, succulent steaks and mouthwatering regional specialties, incorporating the finest ingredients available anywhere.